Getting checked by the TSA's advanced-imaging technology used to be entirely optional, allowing those who refused a scan to be subjected to a pat-down. In fact, many observers thought the agency installed the 740 body scanners in 160 airports with an understanding that no one would be forced to use them, ever. But on a Friday in late December, the TSA revised its rules, saying an "opt out" is no longer an option for certain passengers. (The full document can be found on the Department of Homeland Security's website.) The decision drew mixed reaction from experts and raised concerns from passengers. The biggest: Will I get pushed through one of these scanners before I board my next flight? Related: Frequently asked questions about the TSA. "Most people will be able to opt out," says Bruce Anderson, a TSA spokesman. "Some passengers will be required to undergo advanced-imaging screening if their boarding pass indicates that they have been selected for enhanced screening, in accordance with TSA regulations, prior to their arrival at the security checkpoint. This will occur in a very limited number of circumstances." To some, the change appeared to be timed to ensure a muted public response. It escaped the traveling public's notice until almost a week later, which happened to be Christmas Eve. Anderson says the TSA wasn't waiting for a slow news day. "The revision to this policy was designed to provide TSA with the flexibility necessary to address immediate security concerns," he says. Either way, barring a major outcry, the new opt-out rules are likely to stick. But it's still too early to tell how the TSA plans to implement its new protocol or how the vague guidelines could affect your spring break or summer flights. That, say TSA observers, is cause for concern. Passenger advocates object to the full-body scanners on many levels. The pricey machines, they say, were deployed without giving the public a chance to comment, a process required by federal law. They also say the devices violate the Fourth Amendment right to protection from unreasonable searches and seizures. Also, the scanners have not been adequately tested and may present health risks, some claim. Critics say the technology is easily foiled and ultimately ineffective at identifying threats, citing an audit in which the TSA failed to catch weapons 67 of 70 times. To date, the scanners have not thwarted a single attempted terrorist attack, these agency-watchers correctly point out. What's more, the agency has broken a promise it made to passengers and legislators when it began installing the scanners in 2009. "The TSA is going back on its word," says Fred Cate, a law professor at Indiana University and prominent TSA-watcher. "The scanners were sold to Congress and the public on the promise that they were optional, but for at least some people, that is no longer the case." Marc Rotenberg, the executive director of the Electronic Privacy Information Center, which filed the original lawsuit to suspend deployment of the devices, says the new policy represents an important reversal. In previous court filings, the agency offered written assurance that the scanners were optional. Based on the agency's statements, a federal appeals court affirmed the legality of using the full-body scanners as long as fliers were given a choice. "The TSA lacks the legal authority to compel travelers to go through the body scanners," Rotenberg says. 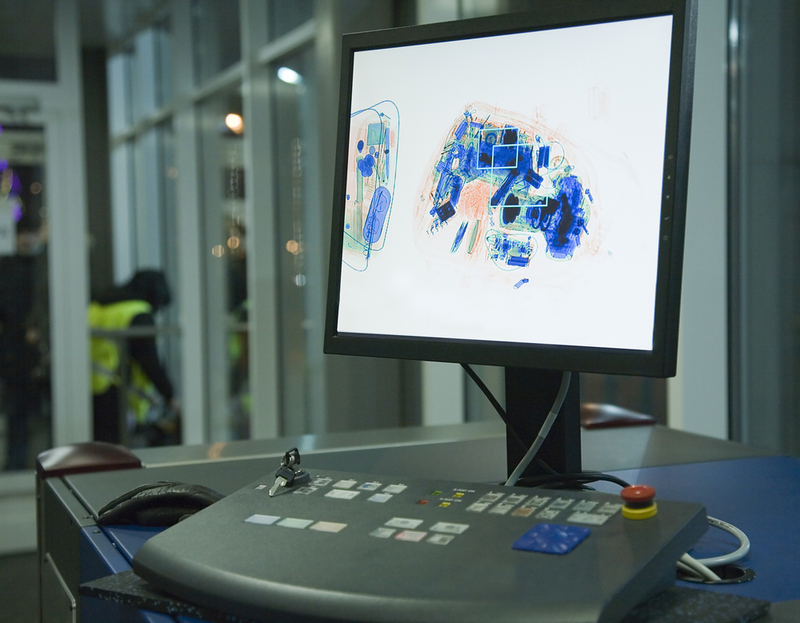 Despite the concerns, the new scanning rules may improve security, says Stephen Lloyd, a former safety director for the Federal Aviation Administration who now runs an aerospace consulting firm in the Washington region. "This recent change was implemented, I'm sure, based on security threat assessments and the need to use scanners when security conditions dictate, to protect the public," he says. Anthony Roman, a counterterrorism expert in Lynbrook, N.Y., concurs. "I believe it is one of the best initiatives taken by TSA in recent memory," Roman says. "Surprise is the key element of this initiative. It creates a randomness and unpredictability regarding who will be scanned and who will not be scanned." That randomness, for fliers screened in the future, can prevent a terrorist attack, he adds. Some fliers are skeptical and upset about the change. Karen Pliskin, an anthropologist from Oakland, Calif., opts out of the scanners and plans to continue doing so. She objects to the advanced-imaging technology for several reasons, chief among them her fear that they may emit harmful radiation. "I had a small skin cancer removed, and I don't do anything that could potentially exacerbate a recurrence," she says. "No matter that the TSA says that their scanners are foolproof; only a fool would say that something is foolproof." Anderson says they are safe: "The radio-frequency emissions from these systems are well below the safety limits established by national health and safety standards for the general public." Stephen Costanzo, who runs an education company in St. Petersburg, Fla., says he's not bothered by the new rules. He interprets the new guidelines to mean that only passengers with screening anomalies will have to use the scanner. "In other words, when a person, for whatever reason, has already failed multiple checks, a full-body scan can be required in order to identify with more accuracy whether that traveler poses a potential security threat," he says. "Clearly, there is still room for abuse," he adds. "But there always has been, and these new guidelines do not change that." For now, the TSA's new rules mean you might not be able to say "no" to its full-body scanners on your next flight. If you do, you won't be allowed into the boarding area. (Time is running out for the TSA; its scanners are expected to start reaching the end of their useful life in two years, and it's unlikely they'll be replaced.) Down the road, it's unclear whether the TSA's rules will change yet again, perhaps mandating that an opt out is no longer an option at all. But we know when such a policy change is likely to be announced. Look for it on a Friday just before the next major travel holiday.